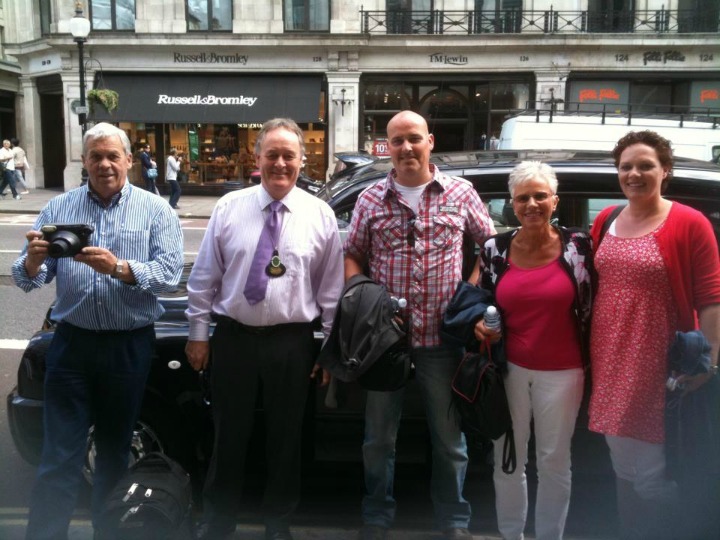 Black Cab Heritage Tours offers a unique way for travelers to get up close and personal with the beautiful city of London and its fascinating history, with guided tours given by experienced London cab drivers who know it intimately. The company was set up by four London Cab Drivers with a collective 70 years of experience driving London Cabs, accumulating a wealth of knowledge about the history of the city, along with a shared passion for its history. The original four have also invited other equally qualified guides who have all passed stringent exams in addition to having passion, enthusiasm and an unsurpassed knowledge of London. Rob Woodford, Company Director and guide, provided me with some additional insight into what the company offers during a recent interview. 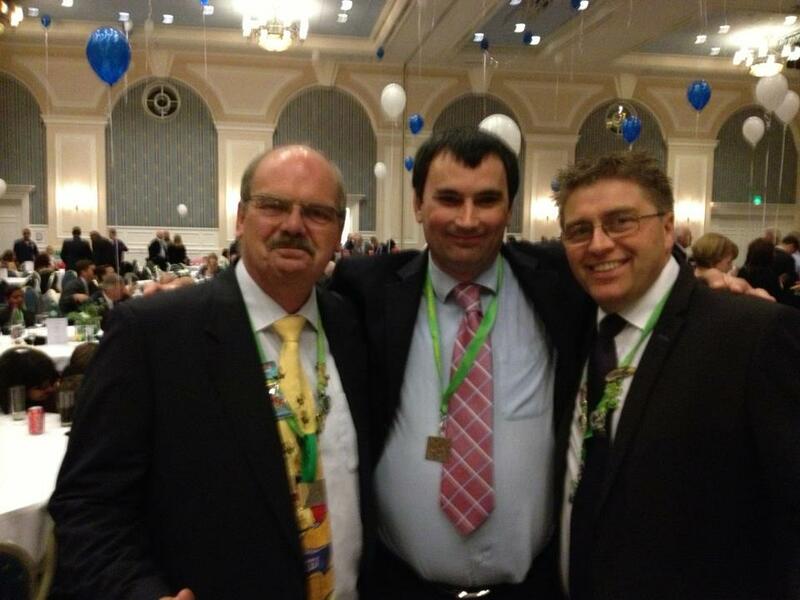 Here Company Directors Graham Woodhouse (Left) & Rob Woodford (Right), are joined by Clive Kilmartin. 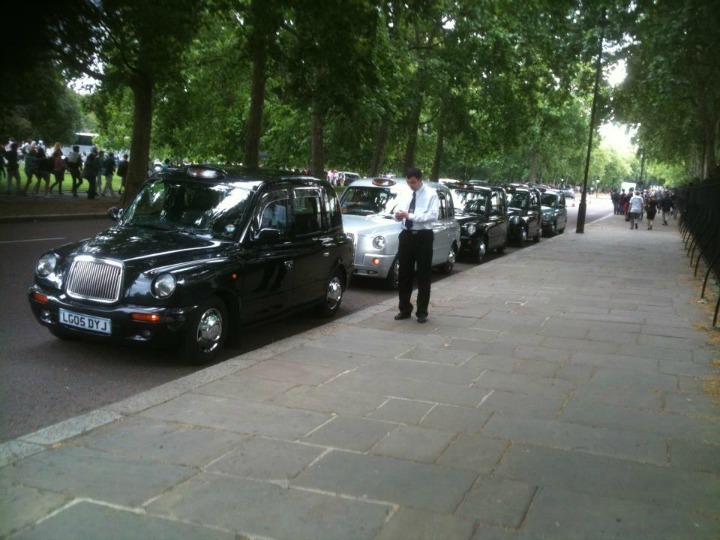 Europe Travel: What the reason for the inception of Black Cab Heritage Tours? Rob Woodford: Two students who had recently passed the so-called “Cab Guide Course” (which trains London Taxi Drivers to become Tour Guides) decided to persuade their lecturer (also a Cabbie) that they needed to fill a void and devise a business plan to set up an alternative tour option for visitors to London – with a choice of tours. Prior to our inception there had only been a small number of individuals advertising their services- mainly by “in-Cab advertising.” But our aim was to seriously market ourselves by initially building a website – and linking with Hotel Concierge by Qualified Taxi Driver Tour Guides in their Traditional London Black Cabs. Rob Woodford: There are no specific types of tourists that we cater to. It is fair to say that the vast majority of our clients are English-speaking, but should anyone wish to have their tour delivered in French then we have that covered too. 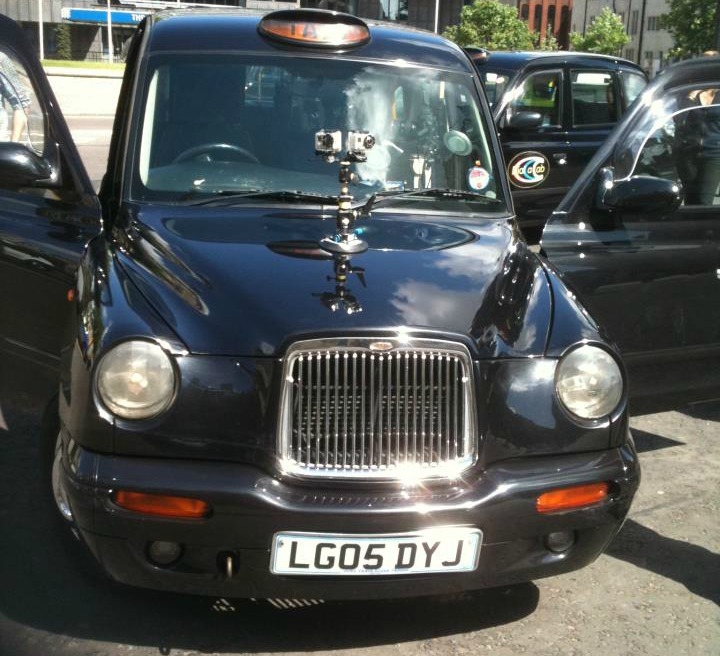 We cater for all, and London Black Cabs are also Wheelchair Accessible. Europe Travel: What are your most unique tours? Rob Woodford: I would say that our most unique tour is our “Harry Potter Tour.” This is because our Guides make a point of deliver a “stand-up” presentation at all of the London Film Location sites to supplement the running commentary provided during their Panoramic Tour around London. It would take forever to get around the sites on foot! The “Harry Potter Tour” by Taxi is OUR (original) idea – others copy us now. One of our “Harry Potter” tours was recently filmed by WTHR Channel 13 (a U.S.-based TV network) on location during the London Olympic Games. Europe Travel: What can tourists expect to get from your tours that they may not be able to experience with others? Rob Woodford: For a start, our clients’ questions will not be lost on a bus full of 50 people. Our friendly guides deliver a very bespoken personal service to a much smaller audience. A London Taxi can accommodate up to five people in comfort, and while on board they will hear a commentary delivered by a crisp clear intercom system. We allow for stopping for those all-important photographs as well as comfort stops and refreshment breaks. None of these are easy when cramped in a double-decker bus, and that bus cannot squeeze down the smaller streets that we can! Europe Travel: Which of your tours is the most popular? 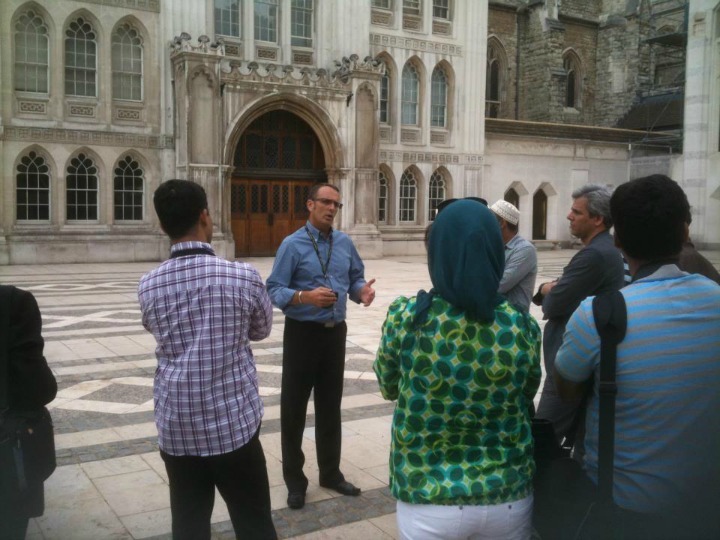 Rob Woodford: Our most popular tour is our “Classic.” Clients get to see ALL of London’s iconic landmarks! Europe Travel: What time of year do you think is best for travelers visiting London? 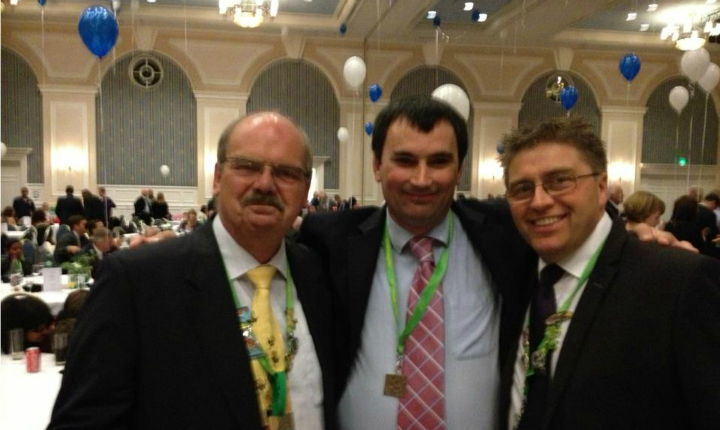 Rob Woodford: Any time of year! We provide tours 365 days per year – 24 hours per day. London is the best city in Europe – come rain or shine! Europe Travel: What are some of your favorite spots in London? Rob Woodford: On a personal level, I prefer to show clients the oldest part of London – the “City of London” – we have almost 2,000 years of history dating back to the arrival of the Romans in AD 43. People are often surprised to learn that the Romans were here for about 1/5 of recorded British history! Europe Travel: There are many ghost stories involving the Tower of London, Baker Street, etc. – do you have any tours that highlight the allegedly haunted places or incorporate that into other tours? Rob Woodford: You will find at least one ghost in any Black Cab Heritage Tour. We will find you a ghost in places off the beat track, like Mitre Square of Berkeley Square – prepare to be scared! Europe Travel: Anything else you think might be important for tourists to be aware of? Rob Woodford: We can pick visitors up from their Hotel or the location of their choice, such as an airport or railway station, and drop them off at a preferred destination such as a theatre or restaurant. We also provide outbound tours to places such as Windsor, Oxford, Stonehenge and Bath – with driver guides qualified to conduct such tours. 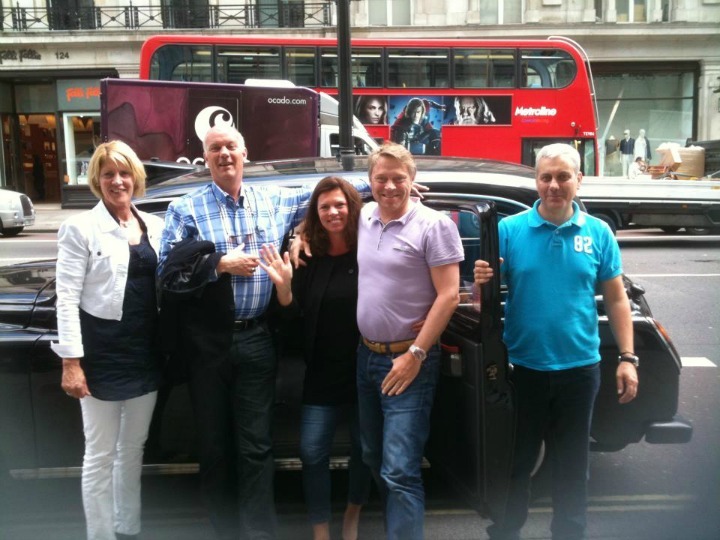 ‘James Bond’ Treasure Hunt was for such a large group of visitors from Holland that we had to call up some top London cabbies who are not (yet) qualified guides and therefore part of the BCHT team – here is cabbie Terry James (furthest right) with his happy hunters! Black Heritage Cab Tours and Rob Woodford can be reached via email at: info@BlackCabHeritageTours.co.uk. Their website is www.BlackCabHeritageTours.co.uk. In addition to the tours mentioned, Black Heritage Cab Tours offers a number of others including the “Magical Mystery Music Tour,” highlighting London’s many musical connections including Handel, Hendrix and Beatlemania. An “Olympics 2012 Tour,” “Jack the Ripper Tour” and the “Royal London Tour” are just a few of the others.